If you would like to try it in your own character then you can install it into your model in Animation Master. Thank you to Steven Cleary, David Simmons, and Mark Skodecek. I have studied each of their rigs (Steve’s Hand Gizmo, Squetch Rig, and A:M 2008 Rig respectively) and I consider the Saucy Rig a blending of different elements of each of them. Thanks also to Steve Shelton and Chris Daily for their feedback about the rig in its early stages. An installed copy of Hash’s Animation Master (A:M) software on the computer that you will be using. I recommend using the latest version of the software which is, as of the date of this post, version 18h. You could use v17 or possibly even v16 but my directions will explain the installation using v18e. 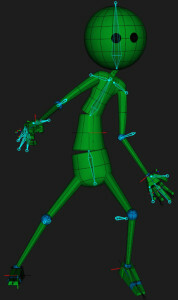 A copy of the Saucy Rig model file. 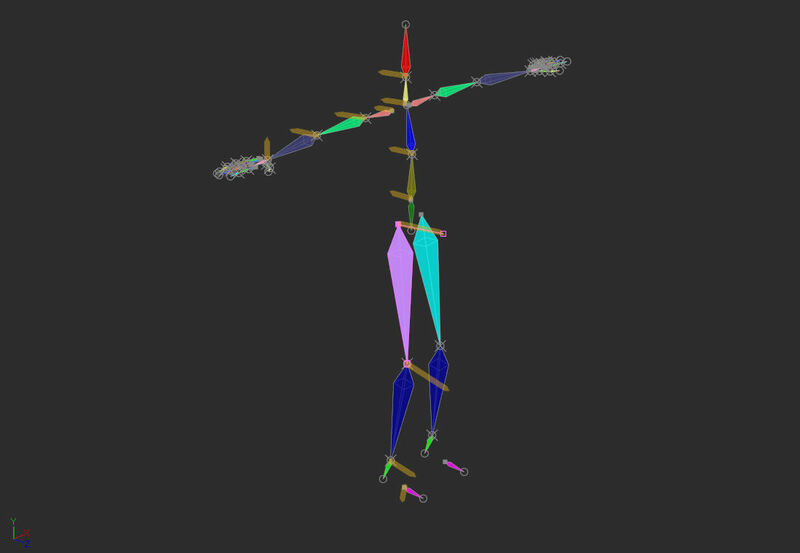 A model in A:M’s file format to install the rig in. You should know how to use A:M’s Project Workspace (PWS). You should be familiar with how to switch between a model’s “Modeling Mode” and “Bones Mode”. You should know how to create a new “Action” file in A:M.
It will help a great deal to know what Pose Sliders are or at least how to access them. The model that you be installing this rig into will not contain any pre-exsisting bones or relationships in the beginning. 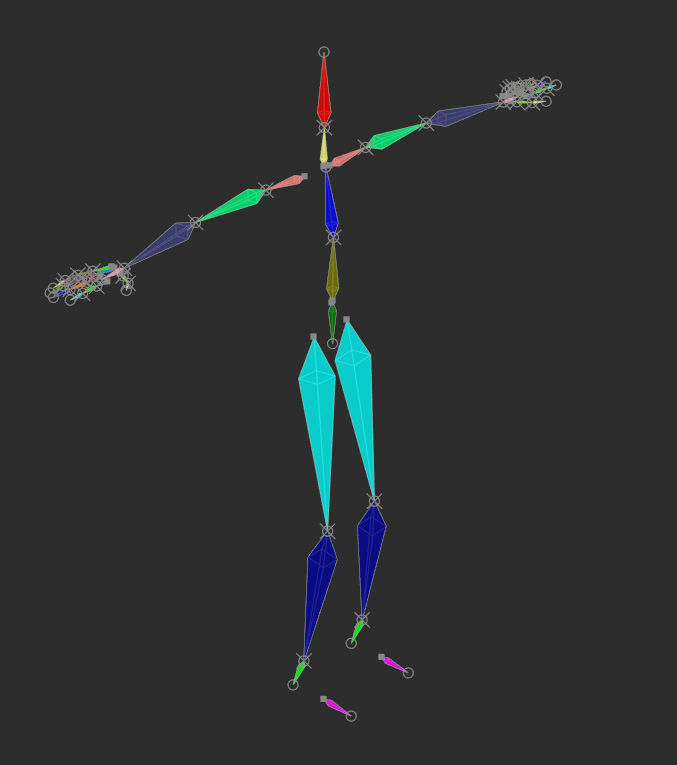 The model is a symmetrical humanoid character, is centered along the X axis, and face the +Z direction in the modeling window. The model’s halves are mirrored along the X axis (the left or right side is the exact mirror of the other). Download the model file that contains the rig from this post. In A:M, open the Saucy Rig model file and a copy of the model that you want to rig. I recommend working with a copy of your model file. In the PWS, click and drag the Saucy Rig file over the copy of the model that you will be rigging and let go to drop it in. Alternatively, you can import the Saucy Rig model into your model and that will accomplish the same thing. At this point you can remove the Saucy Rig file from the PWS because in the last step you just copied all of its contents into your model. Make sure that all of the “User Properties” are set to “Not Set”. With your model selected in the PWS open a window of your model file. If you are not in Bones Mode then switch to it. Once you do that you will see that there is a skeleton of bones in your model. Those are the bones that you will be working with. If your model is truly symmetrical then you have a few options that may make things a little easier for you. You may hide either the left or right side of the model’s mesh in Modeling Mode and work only on the side that you left visible. If you do that then you may also want to hide the bones for the side of the model that you hid. You have some flexibility in the way that you can approach this so you don’t have to do it that way if you prefer to see everything at once. Once you are comfortable with your layout then you can go back to Bones Mode and begin to position the bones to match the model. You should position the bones in the model by referencing the front and side views of the model. You can also view the model from the top and bottom if you need to. The roll handle orientations are very important. More details about that can be viewed in the installation videos. Pay close attention to the orientation of the roll handle of each bone as you go. 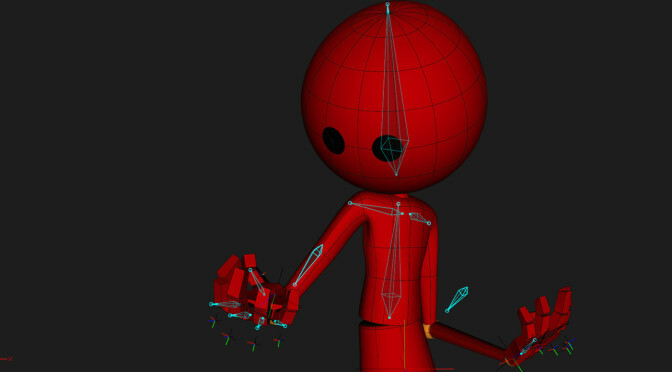 This rig is set up with a dependence on the bones’ roll handles being oriented in a particular direction. The way they should be oriented is as described in the install videos (or reference the default orientation of the bones in the Saucy Rig file). When you are satisfied with the positioning of the bones in your model then you can start to assign the model’s Control Points (CPs) to the appropriate bones. Check the results of your work in and Action window. It is there that you can interact with the bones that you are working with in the modeling environment. When you are satisfied with your bone positioning and CP assignments you will need to mirror you work manually or with the mirror bones plug-in. Then, you can open a new Action window and go to “Supplemental” tab of your “User Properties”. 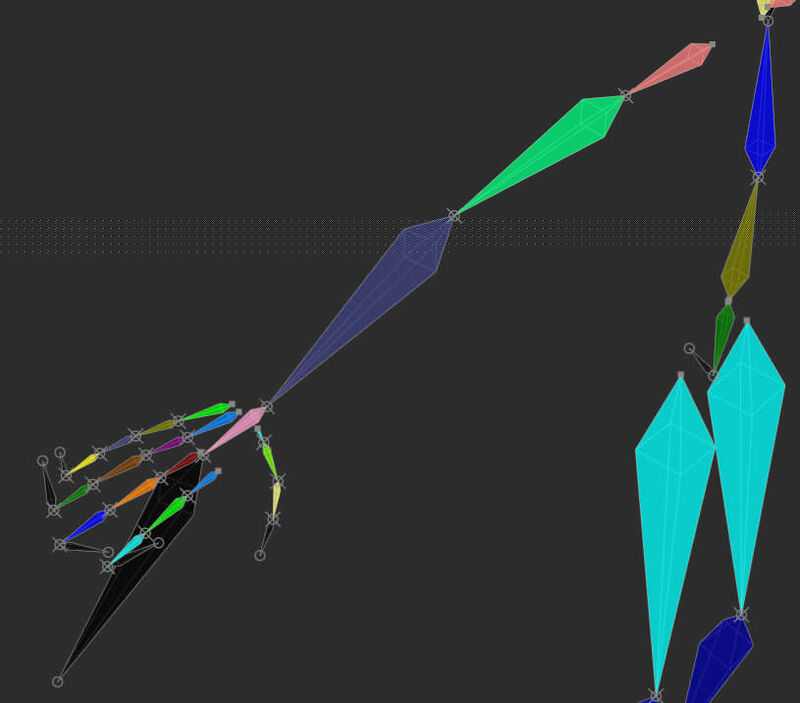 Open the folder “Rig Installation Settings” then turn on the switch “Conform Rig Setups to Geometry Bones of Model” . Export the model from the Action window and then bring in the newly exported file to you A:M project. Set the “User Properties” as described in video #7 (Set User Property Defaults). The black bones at the ends of each chain of bones should remain hidden. They do not need to be seen or touched by the user. There are some hidden non-geometry bones included in the geometry bone hierarchy. Leave them hidden and do not interact with them (except to hide them in case you accidentally unhide them). They are found at the end points of each chain of geometry bones and they are used for location references for the setup relationships when first conforming the rig to the positioned geometry bones. So leave those alone and hidden or else your rig may not install properly. After that you should be ready to go!